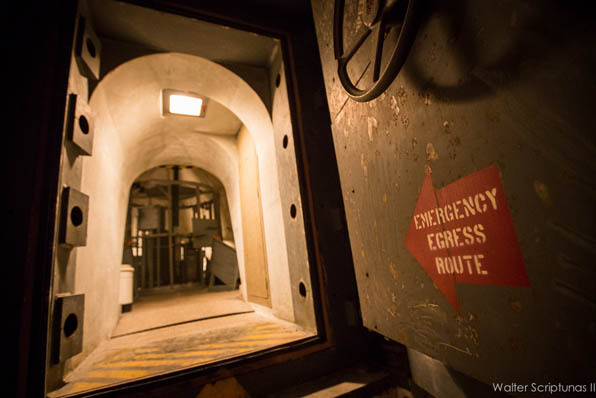 Submerged beneath the concrete of Kennedy Space Center's launching pad that sent humans to the moon resides a fortified bunker and network of tunnels to save the lives of workers and astronauts in a cataclysmic disaster. It is the Apollo-era Emergency Escape System, and this piece of spaceflight history remains in place at pad 39A almost 45 years after its construction in the midst of the space race. Picture the mighty Saturn 5 moon rocket, fueled and poised for blastoff from the Florida spaceport. But something goes wrong and everyone at the seaside complex must evacuate to safety. 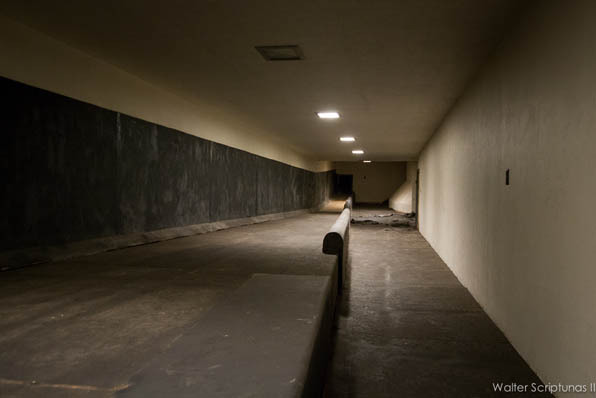 The answer that designers created for men to survive a detonating rocket was this protective cocoon built under the sloping northwest corner of both twin pads at Complex 39. For the astronauts or crew support personnel at the top of the rocket, they would rely on a high-speed descent elevator to reach the base of the mobile platform. 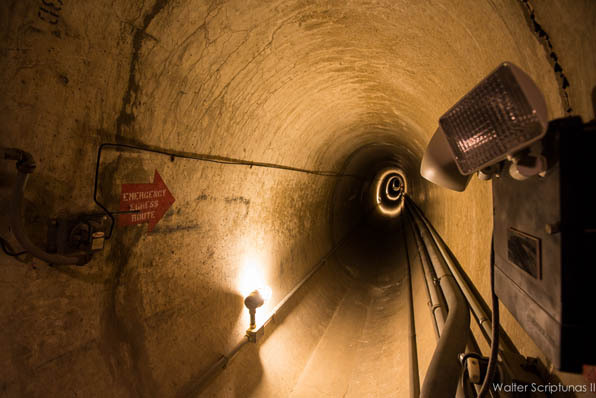 They join technicians working on the platform to jump down a chute on the north-side of the platform that connected to the teflon-lined slide that rapidly gets them underground. That 200-foot slide empties into the aptly-named "rubber room" with its rubber floors meant to absorb the impact of the explosion occurring on the pad surface 40 feet above them. 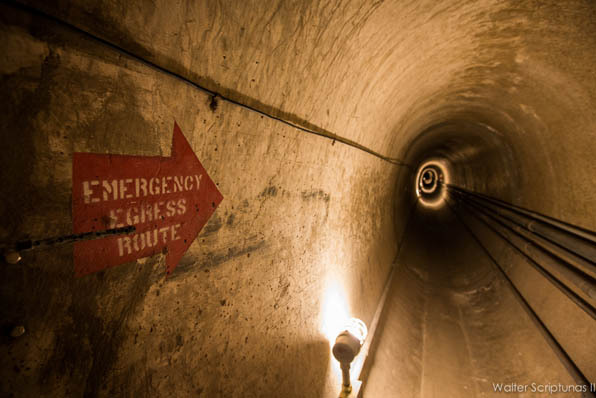 Hopping off the landing ramp, the people would scurry to their left into the fallout shelter, a domed room suspended on shock-dampening springs and sealed off with massive blast-proof doors. 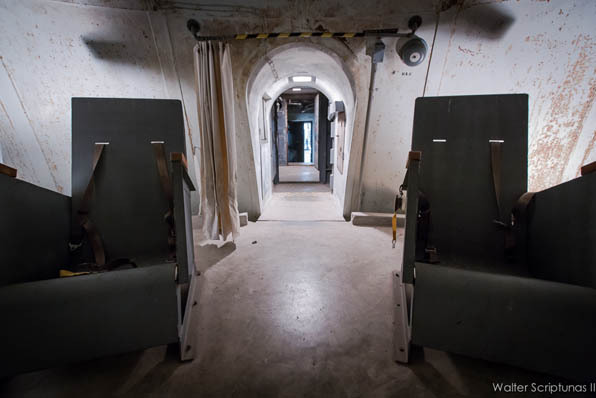 Inside, the chamber held 20 chairs, a toilet and carbon dioxide scrubbing equipment to keep the occupants alive until rescue teams arrive. And, if a further escape is required, on the opposite side of the dome is another door leading out into an airlock and the entrance to a tunnel burrowed under the western field of both pads. It was the elaborate safety measures put in place as the Apollo Program got underway. 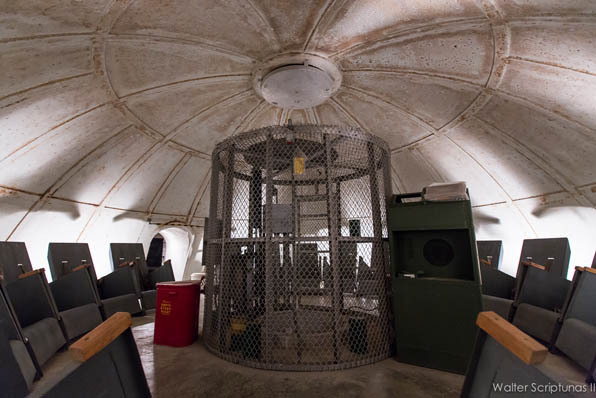 Later, a slide-wire system would be added to evacuate crews from atop the umbilical tower, whisking them out and away from the pad instead of relying on the elevator to go down for accessing the "rubber room" slide. Still, the dimly-lit cavern, draped in mystique and almost spooky to walk through, has stood the test of time as space shuttle after space shuttle thundered away from pads 39A and 39B above. 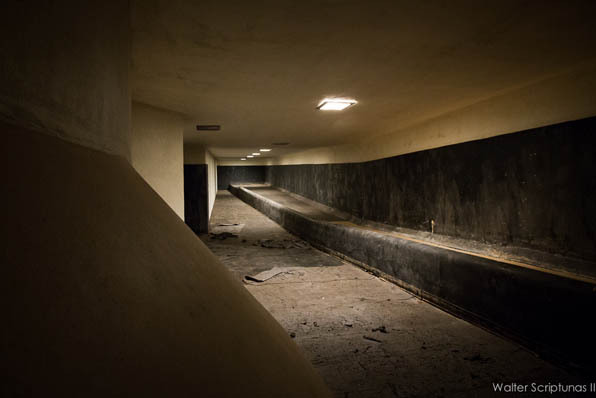 The rooms on both neighboring complexes were capped off and removed from use. The 1,200-foot escape tunnels were converted into air-intakes, funneling fresh air into the environmental control system and used in purges to the space shuttle. 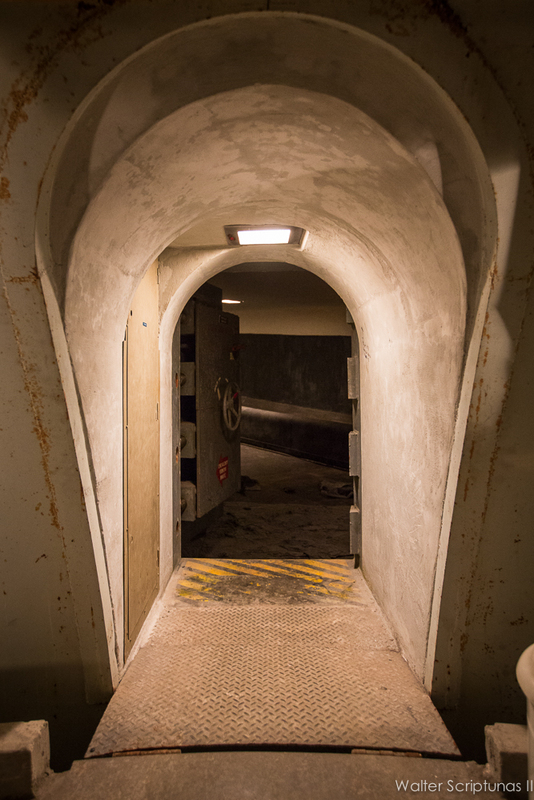 The B pad room was condemned due to lead paint concerns, but the A pad room remains accessible through the airlock doorway next to the hub of the environmental control system below the pad deck. Spaceflight Now went inside Monday for a look and captured this photo gallery. As seen from the escape slide's arrival into the "rubber room", the open door on the left to enter the shelter. 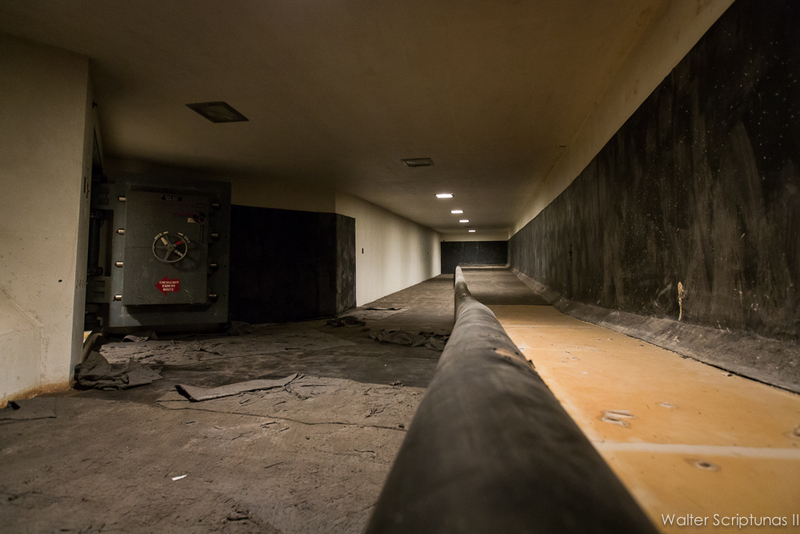 The "rubber room" slide landing has a slight incline to slow the riders. From the opposite end of "rubber room" looking back at the slide's exit hole. 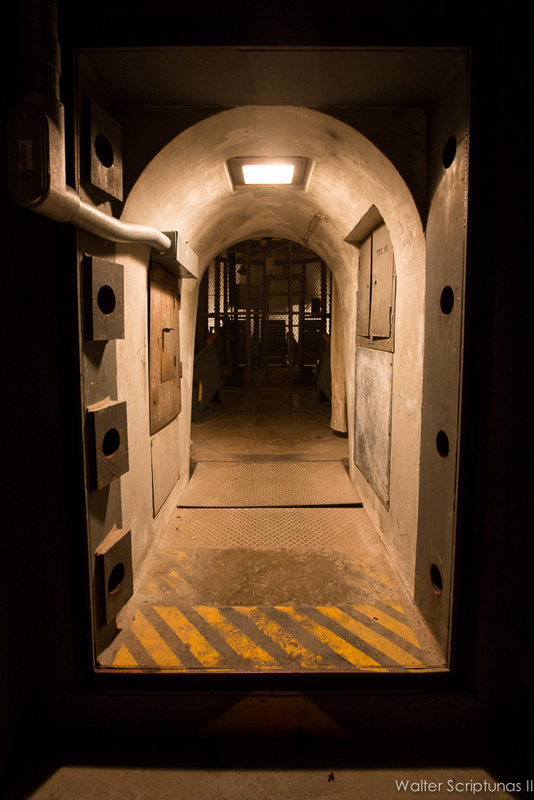 This massive door would lock the occupants inside the concrete cocoon to ride out the disaster. Looking from the "rubber room" into the shelter. 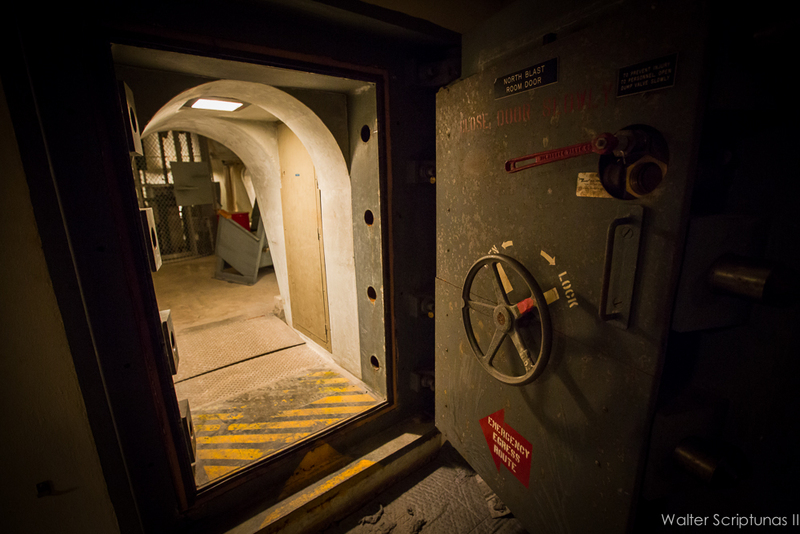 Looking back toward the "rubber room" through the blast-proof doorway. 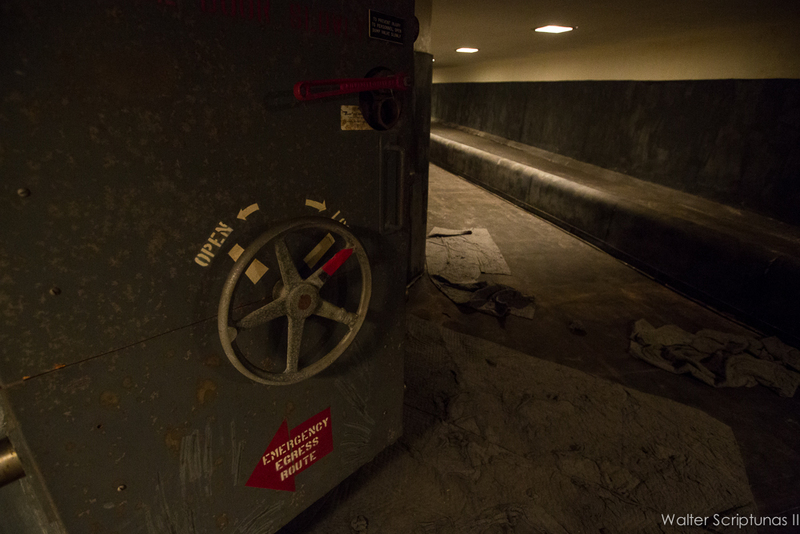 This protective room is where astronauts and pad crew members would reside waiting for the emergency to pass. 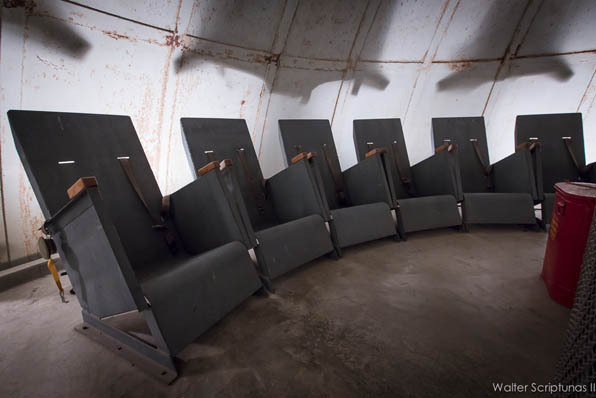 Twenty chairs line the domed fallout shelter. 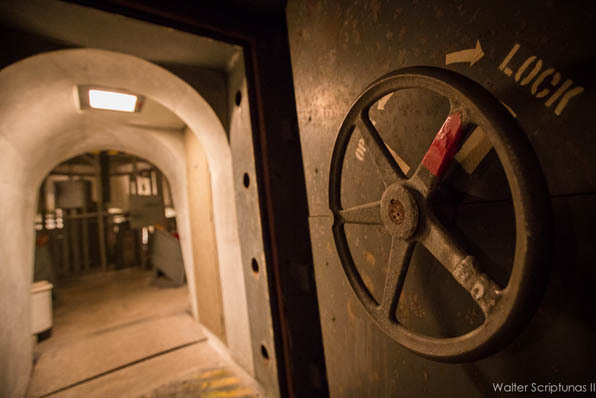 A view looking at the other blast door toward the airlock and escape tunnel. The underground escape tunnel heading west of the pad. We have launched in a new product line in the Spaceflight Now Store -- Space Prints! 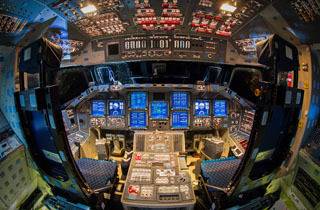 Choose from a selection of spectacular space shuttle photos that will be printed on high-quality metallic paper and shipped direct to you!